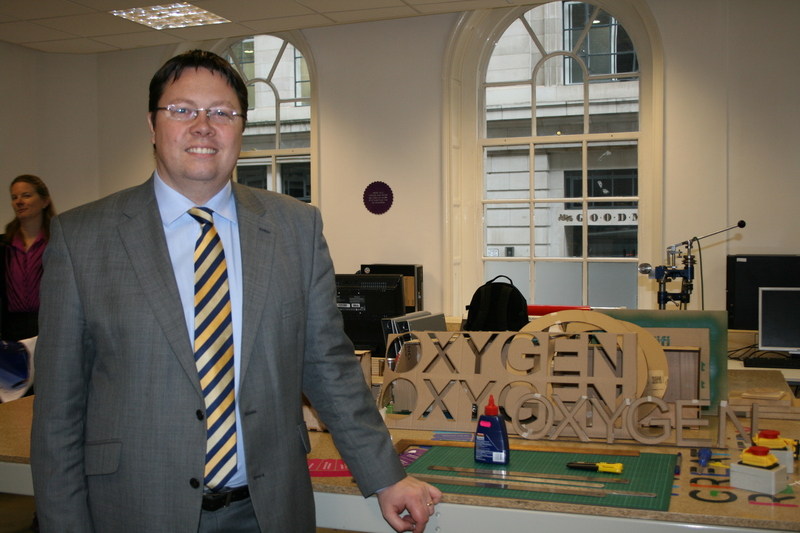 On Wednesday 11th February, DEFRA’s Resource Management Minister Dan Rogerson visited us at the Fab Lab to see what we have been getting up to since our September launch. He was given a tour of the machines room, had a peek into the materials library, and spoke to RSA Director of Design Sophie Thomas about the potential for make spaces such as this to become centres for circular economy innovation. We were also able to hand him the recommendations from our recent roundtable on policy and legislation for circular economy, and we very much hope that these will be considered by manifesto writers and policymakers over the next few months!